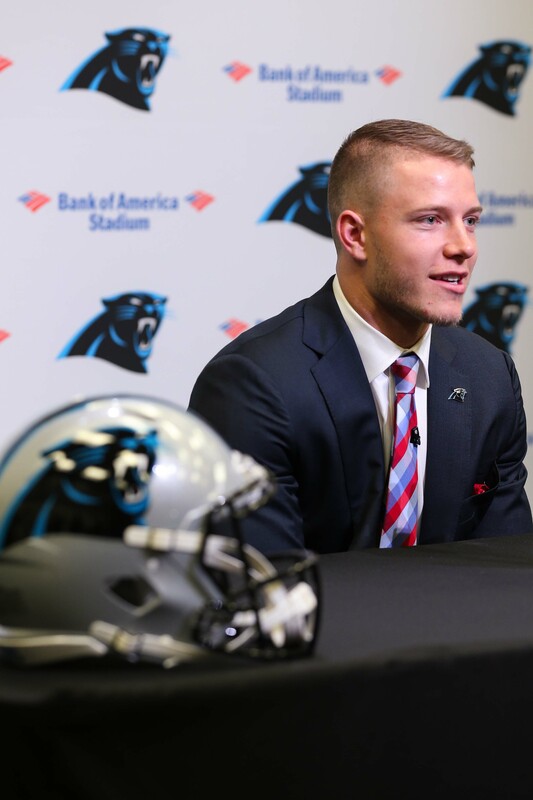 The Panthers are now the first club to reach a deal with a 2017 first-round pick, as the club announced it has signed running back Christian McCaffrey. Carolina has also inked second-round offensive lineman Taylor Moton and sixth-round fullback Alex Armah. McCaffrey, the eighth overall pick in last week’s draft, should immediately factor into a Panthers offense that ranked 25th in DVOA last season. A running back by trade, McCaffrey may end up playing a good deal of receiver, especially with established veteran Jonathan Stewart still lurking in the backfield. McCaffrey should be in line for a four-year deal worth roughly $17.241MM (signing bonus of ~$10.679MM). Carolina will also hold a fifth-year option on McCaffrey for the 2021 campaign. Moton, meanwhile, should compete for the Panthers’ starting right tackle job. Third-year pro Daryl Williams looks to be Moton’s primary competition, as Michael Oher is still dealing with concussion issues (and was recently cited for misdemeanor assault). Moton, a Western Michigan product, will earn $6.454MM over the life of his four-year contract. In addition to signing three of their seven draft picks, the Panthers announced they’ve also agreed to terms with the following undrafted college free agents: linebacker Ben Boulware, defensive end Bryan Cox Jr., wide receiver Austin Duke, cornerback Cole Luke, and wide receiver Fred Ross.